It’s one of those words that all parents of newborns hope to not have to deal with: Colic. Unfortunately, we are currently dealing with it in our house. Starting around 3 weeks old, Malcolm’s “witching hour” became more like “he-devil hours.” He would be fed, burped and changed, and just scream inconsolably from about 7pm until 10 or 11pm. Just when we thought we had him calmed down, he would almost fall asleep and then something would stir within him and wake him back up again, screaming even louder than before. His screams are so loud that you can’t even hear the person standing right next to you. When I took Guinevere to the doctor for her two-year check up, I was able to ask about it to make sure there was nothing seriously wrong with him. She said it sounds like colic. 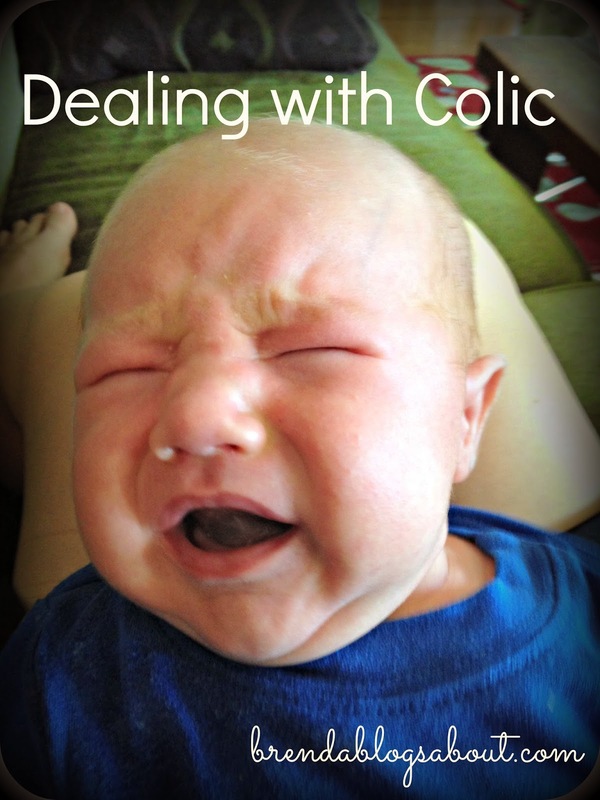 What is colic, you ask? Basically it is a term for any baby who cries uncontrollably for hours on end. The classic definition is a baby who cries inconsolably for three hours a day, at least three days a week for three weeks. No one really knows what causes it. Some theories are that the baby may have gas issues, or that the baby’s nervous system isn’t quite developed or that the baby just gets so overwhelmed by all the stimulation during the day that the only way they can deal with it is to cry. Regardless of the cause, it is ridiculously exhausting for the parents trying to deal with a colicky baby. Trust me, five minutes of a baby screaming in your ear can feel like five hours! Apparently I was a colicky baby – I hereby apologize to my parents for having to deal with this. I wonder if that’s the real reason my sister and I are five years apart – they needed that long to recover from/forget the colic (just kidding . . .sort of!). If Guinevere had been colicky, we certainly would have spaced the kids out a little further. The other night, a couple hours into one of Mal’s fuss-fests, I asked Aaron what the return policy was on babies! - Mylicon/Gripe Water: If there’s a gas component, we could try Mylicon and/or Gripe Water. Based on the time of day that he typically gets fussy, she suggested using either or both of those to sandwich the 3-4pm feed. - Cutting dairy: She also suggested I try cutting dairy from my diet for two weeks to see if that helps as dairy in a breastfeeding mother’s diet may lead to babies being gassy. - Go for a drive: Since babies tend to fall asleep in the car seat, if necessary, strap the kid in the car seat and go for a drive around the block. - Baby massage: The pediatrician emphasized the word “gentle” when she recommended baby massage, especially in the tummy region. A component of this would be bicycling the baby’s legs to help ease any gas issues. - Swing: Put the baby in a swing and set it to the highest setting – higher than you really think it should go, but it will calm the baby much more than if it were on a lower setting. - Happiest Baby on the Block: She highly recommended watching the video that goes with the Happiest Baby on the Block book. She said that it shows some techniques for holding the baby that aren’t necessarily instinctual. - Patience: the final recommendation was patience. Most babies outgrow colic by 3-4 months. The pediatrician said, “I know that sounds like forever right now, but he will outgrow it and it won’t have any bearing on his future temperament.” She also said if our patience wears thin during a scream fest, that it is ok to set the baby down in a safe place (i.e. bassinet, crib or swing) and leave the room for 5-10 minutes. It’s better to have a sane parent than one that is on the brink of a meltdown. Here’s what we’ve done so far: I’ve cut dairy from my diet. It’s so hard, but if it helps, I will keep dairy out of my diet until the colic is gone. If you know me, you know how difficult it is for me to not eat dairy. I’ve often said that I could easily be vegetarian, but it is my love of cheese that keeps me from ever going vegan! Aaron and I also watched the Happiest Baby video. We received the video as a gift from some friends when I was pregnant with Guinevere, but never watched it because we didn’t need it. I did, however, read the book and thought I remembered most of the over-arching ideas behind it. I definitely recommend to anyone who has a fussy baby that they watch the video in addition to reading the book (or maybe instead of, if you don’t have time to read the book). We learned a new way to swaddle that was similar to, but slightly different than how we were doing it. This new way seems to work much better than our previous technique for swaddling. We also learned a new way to hold the baby, and the reasons behind why those techniques work. 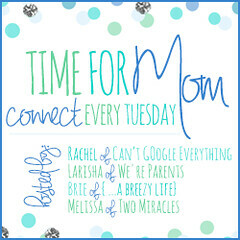 Aaron and I looked at each other and said, “I can’t believe we’re second time parents and watching a parenting video!” But hey, every baby is different, and may require learning new techniques/skills/tricks! Oh goodness! What a nightmare. You can do it! You sound just like us! Olivia was great, Axel was a terrible person. He's such a sweet heart now, but it took about 11 months!